Visionary, artist, poet, iconoclast, philosopher, adventurer, master of the arts of love, tantric yogin, Buddhist saint. 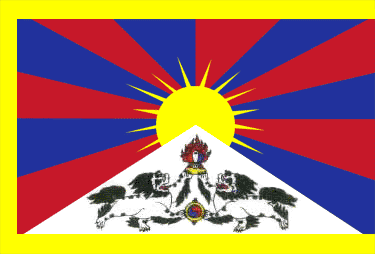 These are some of the terms that describe Tibet’s modern culture hero Gendun Chopel (1903–1951). The life and writings of this sage of the Himalayas mark a key turning point in Tibetan history, when twentieth-century modernity came crashing into Tibet from British India to the south and from Communist China to the east. For the first time, the astonishing breadth of his remarkable accomplishments is captured in a single, definitive volume. His exposure to the wider world brought together his philosophical training, artistic virtuosity, and meditative experience, inspiring an incredible corpus of poetry, prose, and painting. While Gendun Chopel was known by the Tibetan establishment for his vast learning and progressive ideas—which eventually landed him in a Lhasa prison—he was little appreciated in his lifetime. But since his death in 1951, his legacy, fame, and relevance across the Tibetan cultural landscape and beyond have continued to grow. No American scholar knows Gendun Chopel better than Donald Lopez, who has written six books about him, culminating in this volume. 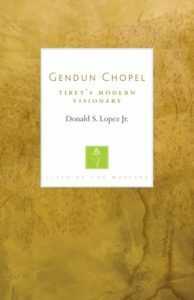 Lopez intimately and eloquently carries the reader through the life of Gendun Chopel and sets the stage for his selected writings, which present the range and depth of Gendun Chopel’s thought. The most comprehensive and wide-ranging work available on this extraordinary figure, this inaugural book of the Lives of the Masters series is an instant classic.